Block printing is very much like a handmade stamp. 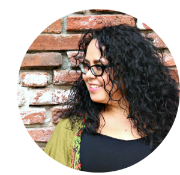 You carve a design into the material of your choice and you can use it over and over again. Block printing have been around for centuries. Creatives from throughout art history used carving tools, ink and paint to make beautiful and detailed works of art. 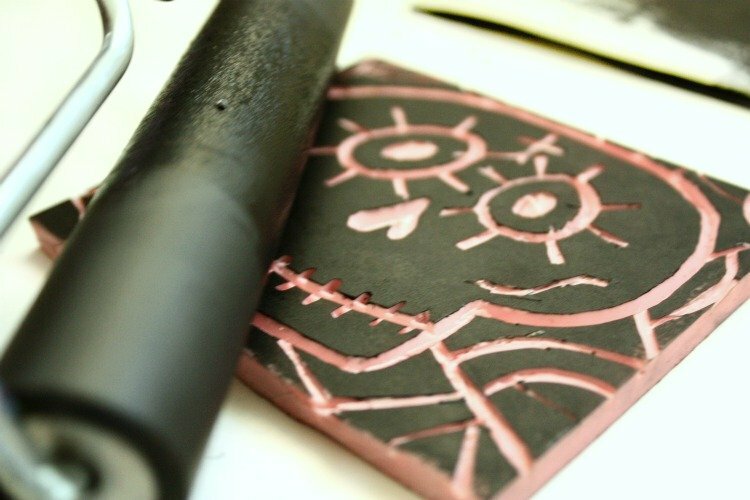 There are several ways to introduce block printing in the classroom: foam printing, linocut and woodblock. I recently learned how to carve on a rubber carving block and it was really easy! I made some fun calavera designs for Dia de los Muertos, in the grand tradition of Mexican artist Jose Guadalupe Posada (1852 – 1913). Sketch a skull design on a piece of paper. Once you are comfortable with the design, draw it on the Speedy-Carve block with a black marker. Now you can start the carving process. Remember that you will carve away the negative space of the design, which will essentially be the mirror image on the carving block. 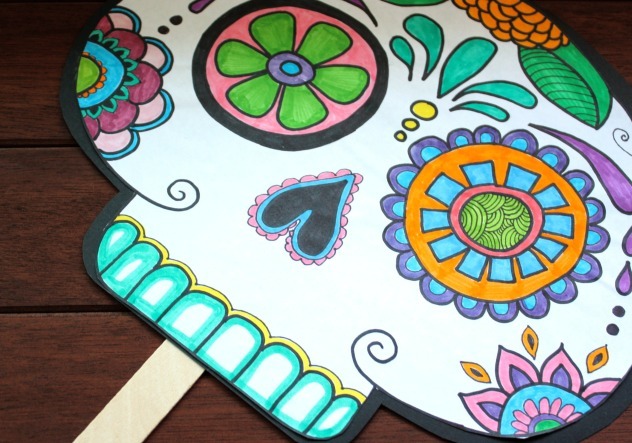 Pro tip: Color in the negative space with the black marker so you'll know what to carve away. Direct students to carve away from the body when using the carving tools for basic safety. Shallow cuts are all that’s necessary. If the students cut down to the base of the carving block, they’ve cut too far. Once the basic design is in place, be creative! Add more lines and shapes to make your calavera unique and interesting. 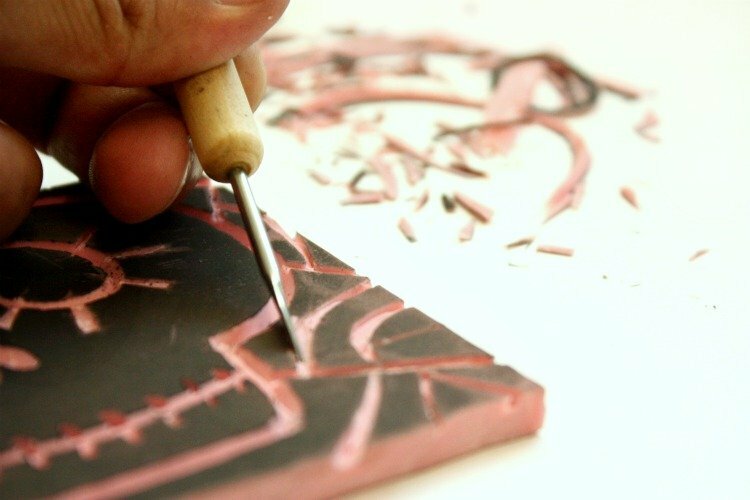 Once you're ready to start printing, pour some block printing ink onto the inking plate. Roll out the ink with the brayer tool until it's smooth. Next, apply the ink onto the carving block with the inked brayer. 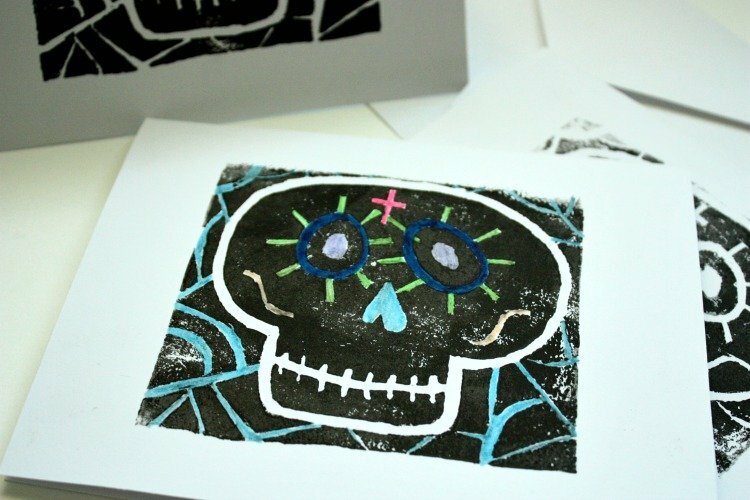 Lay a piece of cardstock on the block and do a test print. Reapply ink with the inked brayer and you're ready for a real print. Press paper down firmly with your hands. Use a clean brayer over the design to make sure the print comes out evenly. Pull your design off of the paper. Once the prints are dry, students can also add color with markers. This project is better suited for older students because of the carving tools.